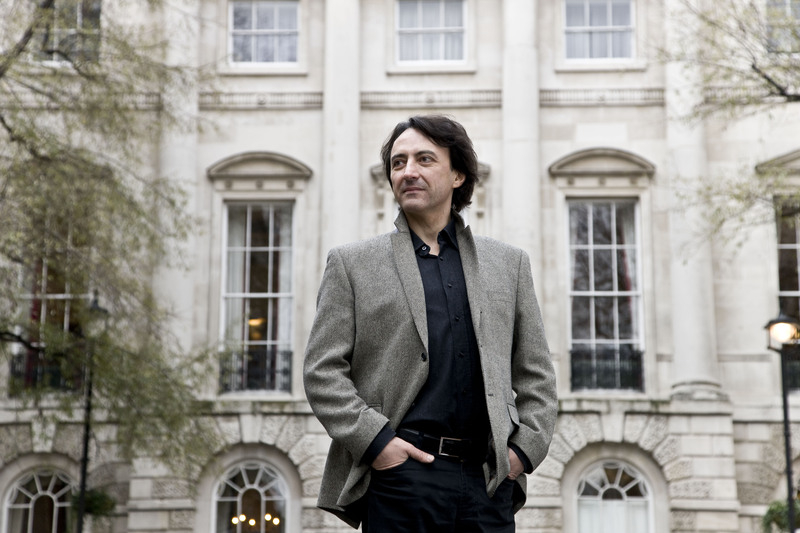 Pianist Jean-Efflam Bavouzet performs at the Queen Elizabeth Hall on Sunday 23 October at 3pm. Here he explains the musical links between the pieces in his programme, from Haydn to Debussy and Bartok. To view the full programme and book tickets, click here. For this IPS recital I wanted a programme where all the pieces are somehow connected to each other like musical ricochets. We start with Haydn, with one of the most impressive of his sonatas, the only one he wrote in the famous Beethovenian key of C minor. Its proportions are surprisingly big (especially with all the repeats which I insist on doing, saving the codas for the end only) and although its sombre and almost austere character does not call for much embellishement, I take the liberty of including a cadenza before the end of the last mouvement, in which motifs of previous mouvements can be heard. The little Hommage à Haydn seems an obvious transition to the sound world of Debussy. Listen carefully to how ingeniously Debussy uses the b-a-d-d-g motif in so many forms and functions: as melody, as accompaniment figuration, as bass, extremely fast in the treble. It is literally everywhere! Three pieces relating to the moon follow. I find it interesting to hear the spectacular evolution of Debussy’s harmonic language in the realm of a precise atmosphere and mood. Although we of course all have a soft spot for the beautiful Clair de lune, how sentimental it seems in comparison with the visionary aridity of Et la lune descend… ! In Et la lune…, isn’t there a flavour of Bartòkian night music at the end? And how even more passionate and almost Wagnerian La terrasse… sounds in this context ! As the setting of the ballet Jeux starts during the night we can actually hear a fourth night music, at least at the beginning. Playing Jeux for one piano alone is a challenge I must confess to being quite proud to present to the London public. After completing my two-piano transcription I had the desire to combine the two already quite heavy piano parts in one. The result is an extremely challenging score where all the constantly evolving thematic material is presented in its pure form without the luxurious orchestral texture. In this black and white version the musical connections with the Etudes written at the same time are even more obvious. Bartòk wrote his seventh Improvisation in memory of Debussy. The contrast between the Hungarian text of the folk melody and the way Bartòk treats it is quite surprising. The three Etudes stand among the most difficult pieces Bartòk ever wrote. As one may expect each of them develop a specific technical challenge and are very different in mood. The spectacular originality of especially the first and third Etudes lies in the freshness with which Bartòk, an excellent pianist himself, approaches brand new technical pianistic challenges, untuckled by Liszt, Chopin and even by Rachmaninov or Prokofiev. Their harmonic language is of the most complex level and sounds surprisingly modern even to our ears. What Debussy said about his Etudes could very well apply to Bartòk’s: they fly way up to the ultimate technically and musically demanding pianistic challenges. This selection of 7 out of the 12 Etudes is completly arbitrary. Starting with the ironic simplicity of the Etude for the five fingers and ending with the brilliant one for the octaves seemed a natural choice. For a composer who is supposedly known for his soft treatment of the keyboard the ending of the Etude for the thirds with its con fuoco and con tutta la forza indications gives us an insight into how much broader then we might have thought Debussy’s pianistic world is. The one for the sixths sounds like a free improvisation but paradoxically follows a perfect pyramidal construction with a silence at its centre. Murmured and whispered wind effect is probably the best description of the Etude for the chromatic scales. Although far from being the loudest or the flashiest the Etude for the sonorités opposées (which I would be more inclined to call ” sonorités apposées”, “superposed sonorities”) is a fascinating example of how Debussy manages to give to the sound of the piano a new dimension of space and an illusion of distance, as if the sound was comming from far away. And even further… Bill Evans may have heard the Etude for the composed arpeggios. Or may not… In any case today we can not avoid hearing its smooth harmonies without think about jazz. The valse caprice-like Etude for the octaves is one of the most extrovert of the cycle and, like one of the musical ricochets mentioned earlier, reminds us of some of the valses of Jeux. Jean-Efflam Bavouzet performs in the Queen Elizabeth Hall on Sunday 23 October at 3pm. To view his full programme and book tickets, click here. For many international artists, playing chamber music is associated with the holidays. With the hectic city-hopping season left behind, the summer is a time to settle down for a week or two in a beautiful location – Aspen, Verbier, Tanglewood – and perform in temporary ensembles. The members of the Tetzlaff Quartet also enjoy busy careers of course, but their dedication to chamber music, and indeed to each other, means making time within the season itself. 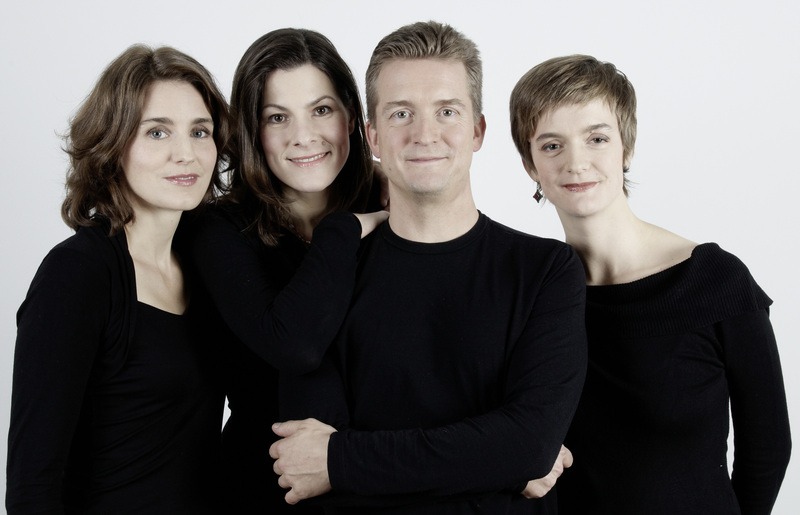 ‘Every year we do one or two tours,’ says Christian Tetzlaff as he explains that, while the quartet only meet rarely, they continue to grow together as an ensemble. It is not just the personal choice of repertoire that makes Tetzlaff Quartet tours so eagerly anticipated by the players, but also friendship. ‘We enjoy playing together and inspiring each other but, more than anything, we’re great friends’ says Elisabeth Kufferath. She is certainly inspired by Tetzlaff, whom she describes as ‘a wonderful musician, the best you could fathom and more.’ For Tetzlaff, chamber music itself is a ‘medium for friends to speak to each other of intimate things’. Such camaraderie, musical and personal, will certainly sustain the quartet as they perform the seven European concerts that precede their appearance at Southbank Centre on 21 October, the final of the tour.